Facial surgery can be opted by people for a number of reasons, and these include being born with facial impairments like cleft lip, birthmark or other birth defects, the effects of aging, sun damage or other facial traumas that are noticeable on the face as well as a sense of general dissatisfaction with your facial features. Depending on these factors, facial plastic surgery can be divided into two categories: Reconstructive and cosmetic. I am Dr. Lalit Chaudhary, senior Consultant plastic surgeon and Vice Chairman in the Department of Plastic Surgery in Ganga Ram Hospital. This is a very famous multi-speciality hospital and it has a teaching program also so we have the faith of the masses with us. We have a very well equipped department of plastic surgery. Now when we talk of plastic surgery and cosmetic surgery patients often get confused that they are different things. Per se cosmetic surgery is a part of plastic surgery. In cosmetic surgery I would like to tell you- one thing is very important is that patient must be explained the possible results and that the outcome which a surgeon feels is 100% but the patient may not feel same. So they are dissatisfied. The realistic expectation of the patient must be told to the patient and kept in mind while you are taking the patient to the surgery. The procedures we have here are head to toe all the procedures like hair transplant, rhinoplasty, facelift, breast surgery, tummy tuck, liposuction. You name it and we have it. But keep in mind that every patient must be explained the possible outcomes. There are few contraindications and there are few complications associated with all the procedures which must be told to the patient. They should not be very satisfied with even the 100% result. So we do other possible associated plastic surgery subunits also like reconstructing, like on core surgery, trauma reconstruction. In trauma we get anything from laceration to re-implant of amputated part. We do paediatric plastic surgery, patients born with congenital malfunctions like we have a smile trim project with us which is free of cost smile trim patients get the advantage of surgery. So you can contact me through either Ganga Ram Hospital portal or through the lybrate and take an appointment. I sit in Ganga Ram Hospital from 12 to 4 in OPD and we have regular OTs full time here. Hi! I am Dr. Lalit Chaudhary, Senior consultant plastic surgeon at Sir Ganga Ram Hospital and Vice Chairman right now. We have all range of surgeries - not just reconstructive plastic surgery but also the cosmetic surgeries with us. Nowadays , gradually the cosmetic surgery cases have gone up by more than 50% of the plastic surgery practices. More common cosmetics side patients who are coming to us, are about body contouring in both the males and females. In males, we see nowadays very common , is the male breast tissue with enlarged breast or what we call as Gynaecomastia. It can be completely cured with a small operation which is practically scar less. Generally next day , you can join with your routine work and there is 3 weeks of weight bearing issue, otherwise table job and walking is fine. Same in females, there is tummy tuck, breast enhancement and reduction. Most commonly for face, we come across patients coming for rhinoplasty or the nose job. Then the hair transplant procedure where big number of patients suffering from baldness or loss of hair come. Generally other than the cosmetic procedures, we have well-developed plastic surgery department set up at our Ganga Ram Hospital. We also practice as a clinic basis in Dwarka where we generally see the patient. There is no operation facility there. That is basically the post-op care of the pre-op care for the patient. We can see the patient of this area and surgery is done in Sir Ganga Ram Hospital only. If you have any queries related to the cosmetic surgeries or the reconstructive plastic surgery or trauma like fingers trauma or complete amputation, right from that level to the reconstruction - may be a cancer reconstruction or a congenital reconstruction or a post-traumatic reconstruction, we have everything with us under the same umbrella in Sir Ganga Ram Hospital. If you have any issues which are from that part of it and if you stay somewhere around in Dwarka, you can come to the clinic and show it to me. So if you have any issues related to the cosmetic surgery or plastic or reconstructive surgery, you are most welcome to contact me either at my Chisel Clinic in Dwarka or Sir Ganga Ram Hospital where we see daily from 12-4 in OPD here. We have a good team supporting us and Residency Program with us so you have round the clock care which is not present everywhere in Delhi NCR. Even in India you won't find such plastic surgery facilities. So you are most welcome to have any query with us. Take care. Dr. Lalit Choudhary is one of the best Cosmetic/Plastic Surgeons in Rajender Nagar, Delhi. He has been a practicing Cosmetic/Plastic Surgeon for 24 years. He is a qualified M.Ch - Plastic Surgery, MS - General Surgery, MBBS . He is currently practising at Sir Ganga Ram Hospital in Rajender Nagar, Delhi. Don’t wait in a queue, book an instant appointment online with Dr. Lalit Choudhary on Lybrate.com. Lybrate.com has a number of highly qualified Cosmetic/Plastic Surgeons in India. You will find Cosmetic/Plastic Surgeons with more than 44 years of experience on Lybrate.com. You can find Cosmetic/Plastic Surgeons online in Delhi and from across India. View the profile of medical specialists and their reviews from other patients to make an informed decision. Dr Lalit is really good doctor. He listens patiently, explains the problem in detail and answers all the questions. He gives a lot of confidence and assurance which is really helpful. I had Arteriovenous Malformation for which I consulted him and underwent a surgery for its removal. I would recommend him to anyone I had an Arteriovenous Malformation in the toe of the left foot. I had an Embolization procedure done at Max Saket. The procedure didn't help me. The doctor at Max suggested me to undergo an amputation of the toe as the final solution. 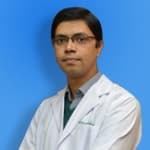 I took opinions from Medanta, Sufderjung hospital, RML hospital which were confusing as all were different Wanting to save my toe from being amputation, I came back to Dr Lalit and discussed the whole situation. He told me that amputation is not required at all and this now be fixed by excision/debulking surgery. He explaned the details of the procedure to be done and answered all my questions. He takes care from the beginning till the end. Expert in his line and very dedicated to his profession. My experience with him was very good. I was in safe hands. And this feeling is very important for every patient. Nice behaviour he told me about the exact point towards my treatment . He is not money making mind person he not told to do laser he start the treatment from basic medicine . He is v.gud and sincere at his work. Those in need should visit him. What Is Rhytidectomy And How It Can Be Helpful? As the effects of ageing set in, we all dread looking at the mirror as the image that stares back at us, is not very appealing. The dark spots, pigmentation, sagging chin, wrinkles, etc., are not something we want to admire. Almost everybody wishes to turn back time and go back to youthful, glowing skin. With this constant urge to look and feel young, cosmetic surgery has made significant advancements to restore youthful looks. One such advancement is rhytidectomy or known as facelift in layman terms. What is it? In its current form, it does more than just remove wrinkles. It includes a combination of multiple surgeries and exercise routines, which are aimed at restoring a youthful appearance. The surgeries are aimed at removal of excess facial skin that causes the sagging, may include tightening the underlying connective tissues which are responsible for the firmness of the skin, and redraping of the skin over the face again. This is followed by an exercise regimen that continues to improve the tone of the facial muscles. SMAS: This is used to lift the layer of tissue under the skin which eliminates sagging in the facial and neck area. MACS: This technique is useful when there is mild sagging around the neck area. Full facelift: Reduces ageing effects from all regions of the face. Mid facelift: Sagging of the cheek area, flattening of the nasolabial folds, and eyelid surgery are done to improve the appearance of a face that is flat around the cheek area. Thread lift: Sagging in the eye, forehead, etc., can be corrected by inserting a thread and literally pulling up the underlying tissue. Plan for recovery: Depending on the extent of surgery, facelifts require considerable time to recover. It is advisable to plan for this, be it time off from work or household activities. It is important to give sufficient time for complete recovery. Time for results to show up: Initially, there would be significant bruising, discomfort, and swelling. These will subside over a week to 10 days but bear in mind that for the actual result to show up, it could even take up to 6 months. Surgeon’s Experience: Choosing a right surgeon is extremely essential, as an inexperienced surgeon can do more harm than good. Have a detailed discussion and set the right expectations to avoid disappointment. If the ageing effects are really bothering you, go ahead and get a facelift. Facelift Surgery - Know Its Risks! Without surgery is there any treatment to increase breast size like by means of tablets or massage oil or anything else. If yes can you help us please. No only surgical option but in place of implant we can Do fat grafting which does not involve any cutting or suturing but only injections. Wrinkles - How To Deal With It? There is a wide range of options to get rid of wrinkles. Laser treatments are considered to be one of the best ways to eradicate wrinkles for a long time. There are other treatments such as microdermabrasion, photo facials, and chemical peels as well. Dermal fillers are used to treat deep wrinkles. Wrinkles of the forehead and the eye are best treated with Dysport and botox. Laser treatments such as the Fraxel and the fractional CO2 make tiny pores in the skin. These pores or incisions have two purposes. The first is to make sure that the skin produces collagen and the second is to ensure that the skin heals quickly. The laser can address wrinkles in areas such as eye, face, hands and legs. Out of all the treatment plans, laser treatment is by far the costliest one. They are typically used by maxillofacial surgeons having in-depth knowledge of physiology. Treatment of this kind might require more than one session depending on the extent of wrinkles. Dermal fillers are a popular method to address wrinkles and are used to destroy wrinkles around the mouth and the eye. Lasers can also diminish hollowness and dark circles near the eye. Moreover, they are very effective in making up the lost volumes of the jawline, temples, and cheeks. Dermal fillers, however, last for about a year and needs to be redone to hold on to the facial changes. They are typically safe and contain limited side effects. A consulting session with the doctor will help to know more about the potential risk of this treatment. Botox and Dysport are two of the most popular options to get rid of wrinkles under the eye region. While lasers can diminish the appearance of wrinkles, botox and Dysport can permanently get rid of it. They also ensure that the wrinkles do not come back for quite some time. Some other wrinkles that botox and Dysport can fix include wrinkles of the forehead, eye, and the brows. How Effective Are Wrinkle Creams? In comparison to botox and lasers, wrinkle creams are far less effective. This being said, they are extremely popular for the fact that they are readily available over the counter and are very cheap. Most wrinkle creams contain retinol that helps to increase collagen production and stimulate turnover of the skin. Wrinkle creams that are designed for the eye do not contain retinol since they are an eye irritant and can cause damage to the eye. These creams also contain anti-oxidants that help the collagen to hold their own and stop the interference of free radicals. Moles & Freckles - How To Get Rid Of It?